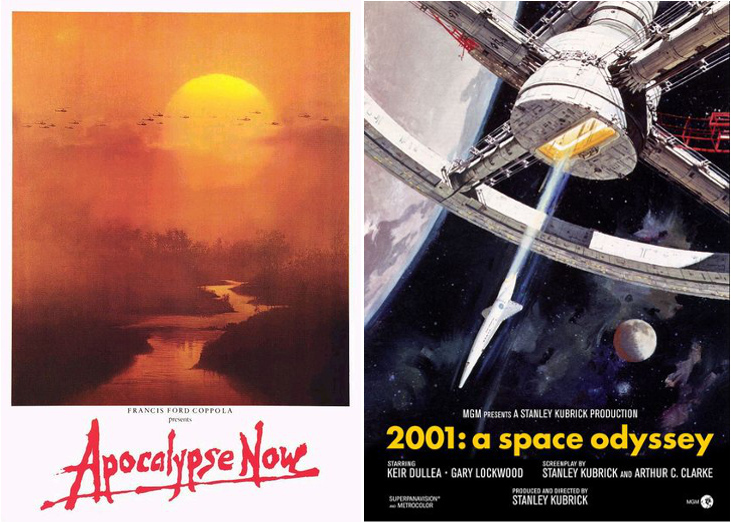 Orange, Apocalypse Now is actually an adaption of Conrad’s, Heart of Darkness; a simply astonishingly brilliant story. Marlow is a company man sent into the Congo to find Kurtz, an ivory trader who’s gone rogue. The river represents an anabasis, a journey inside Marlow where Kurtz is the unchecked animal which lurks inside us all. The journey and meeting with Kurtz nearly kills Marlow. The movie adaption was quite brilliant and blew my mind too when I first saw it… but to really blow your mind, get the book and take three days off to read it uninterrupted. You won’t be disappointed. I know! I’ve read the book too… I was just trying to keep my post as short as possible and focussed on the films themselves… but I should have probably included this very important point 😉 You’re right, it’s a stunning book in itself. Glad you’re a lover of the film too. Oh, it was superb. Coppola did a wonderful job. I figured you must have read the book. My brain said you must have. Saw those two when I was a teenager as well and both blew my mind. 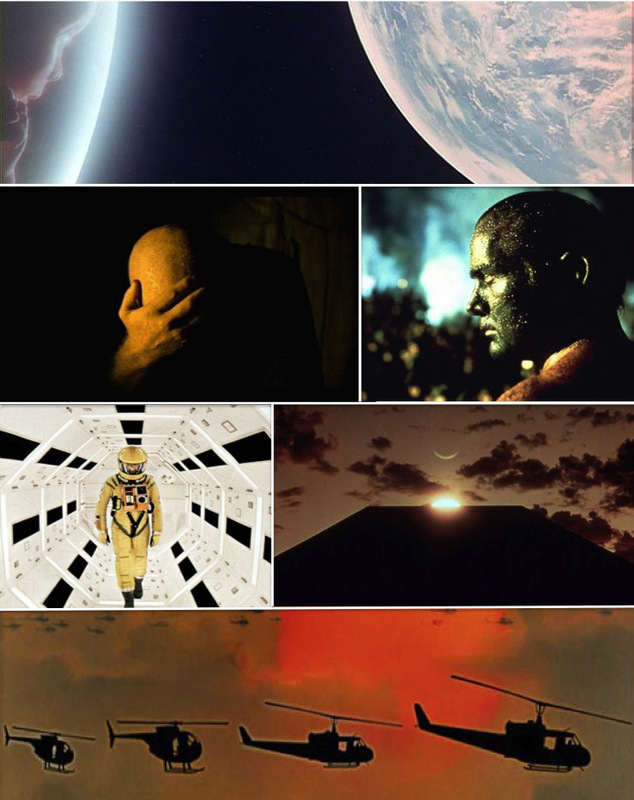 In fact, Apocalypse Now is my favorite film and 2001’s a close second. Both really tested the limit of cinema. Yeah, I feel like they’ve been my favourites for a long time now. Well, two of my many favourites at least! Great Great post. I love both of these movies very much and are ones I would love to see in theatres. Watch the documentary “Hearts of Darkness” which is about the making of Apocalypse Now and it is really good. I remember watching that before I saw the movie and it adds a lot to that film. Thanks… really appreciate it. I’ve been lucky enough to see them both at theatres… actually, last year in London I saw 2001 with an orchestra and choir playing all of the music live… one of the best things I’ve ever experienced. Just completely awesome. Good shout on the doc too. I saw it years ago but I should give it another watch. I’ve never seen a film that has topped either of these. Great post. Thanks Garrett… and I couldn’t agree more! Nice write up! You’re so right that they were both ahead of their time…these films still are. Oh, did you get my email btw? OH YES!!! I did thanks….I didn’t reply? oops…just sent you an email. I also enjoyed both of these for their creative portrayals. I also enjoy Sci-fi because whatever we can imagine is possible. Glad you enjoyed them too. And yes, sic-fi can really stretch the limits of our imagination (when done well! ).